Discover the notable alumni of New York University. The list includes people like Lady Gaga, Angelina Jolie, Kristen Bell, Anne Hathaway & Mark Ronson. This list of notable alumni is loosely sorted by popularity and has people from different domains of life, such as film & theater personalities, writers, media personalities, miscellaneous and musicians etc. Apart from its great reputation, the fact that it is situated in one of the world’s best cities, makes ‘New York University’ a favorite among students from all over the world. Popular magazines like ‘U.S News & World Report’ and ‘Times Higher Education’ have rated ‘New York University’ as one among the 35 top educational institutions in the world. Apart from two additional campuses at Shanghai and Abu Dhabi, several academic centers of the University are situated in cities like Madrid, Buenos Aires, Washington D.C and London. Many graduates of New York University have bagged the prestigious Pulitzer Prize, Nobel Prize and even Academy Award honors. Of course, the university is known for imparting education of impeccable quality, but there’s another reason why NYU is popular – its notable alumni. Some of the students who spent their academic years at ‘New York University’ are legendary filmmakers Martin Scorsese and Woody Allen, Hollywood actresses Angelina Jolie and Anna Hathaway as well as pop icon Lady Gaga. Martin Scorsese is undoubtedly one of the greatest icons of cinema who has produced outstanding movies like ‘Taxi Driver’, ‘Departed’, ‘The Aviator’ and ‘Wolf Of Wall Street’. 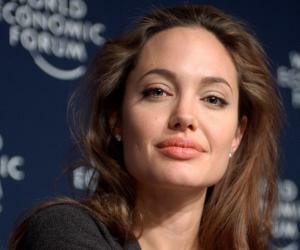 Academy Award winner Angelina Jolie has not just impressed the masses with her acting skills, but has also been praised for being socially responsible. 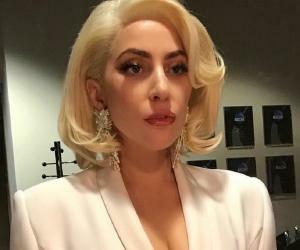 Lady Gaga is the current poster girl of world music and has joined the league of several yesteryear greats like Michael Jackson and Madonna. Here’s a compilation consisting of the names of several noteworthy celebrities who have made New York University quite proud.